How much of a height difference did you notice after adding the bumper. Howdy. I am in the market for a new bumper (Wife Fender bender) and i came across SteelCraft® HD10420R. It says it weights 303 lbs. 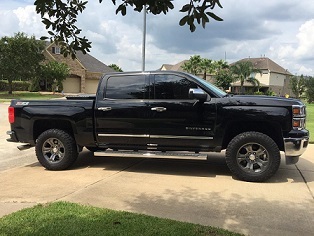 I drive 2014 1500 Silverado with the RC 2.5 leveling kit. Has anyone else put that much weight on the front, and if so what have you noticed. in MPG or anything else? 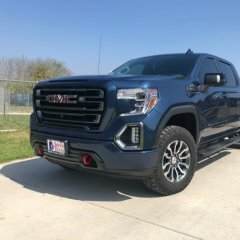 What am i to expect with that amount of weight on the front? Thanks in advance. 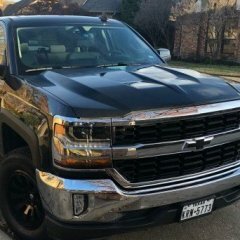 What did you pay for LineX or Rhino Liner? Does anyone have the link for that youtube video that describes the difference between the lift brands and their quality. i cannot find it in the forum, i saw it here at one time. Will this fit a 2014 Z71 1500? underseat storage work with a WT mat? It looks like below the gas pedal is cut out, like the Gm weather floor mats.